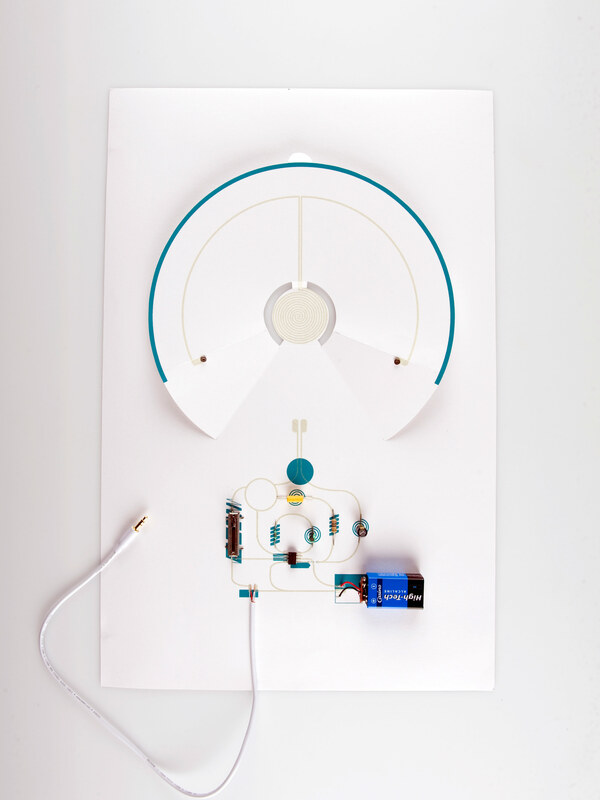 Coralie Gourguechon's paper speaker, powered by a single nine-volt battery. The simple design uses paper and basic electronics. She effortlessly combines accessible technology and smart design. All the components of the paper speaker. A detailed look at the paper speaker. Don’t call Coralie Gourguechon a D.I.Y. geek, even if her most successful designs to date have involved building a speaker and a camera around a single sheet of cardstock paper. The 28-year-old has managed to fuse the world of crafty, open-source gadgets with the rigor and sensibility of high design. Her creations are minimalist and chic, and suggest that as technology becomes ever more present in our lives, its form—inside and out—should be as thought-through as its function. Gourguechon grew up in northern France and studied applied arts in high school. She had her first breakthrough when a teacher suggested she avoid designing the types of things she already liked and instead focus on improving or demystifying the things she loathed, like personal electronics. Her paper speaker functions simultaneously as a rudimentary battery-powered electronic and a kind of educational diagram that teaches you how it works. "Technology is sometimes this bright and shiny thing but it also can be a black box," Gourguechon said. "I want to open it up a little, to try to better understand our relationship to it."